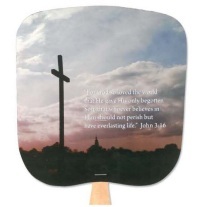 Religious Fans have beautiful full color pictures printed on front. 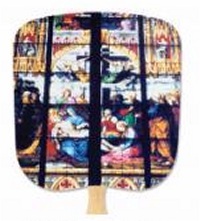 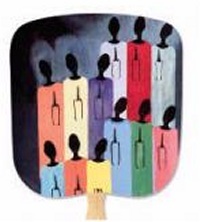 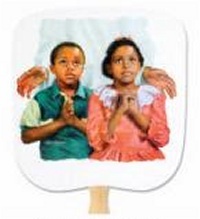 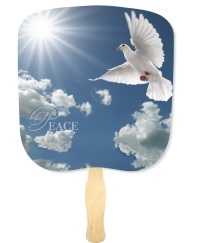 Select from many beautiful images printed in full color on these Religious Fans. 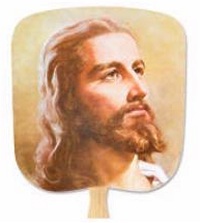 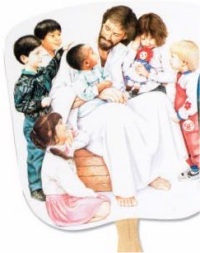 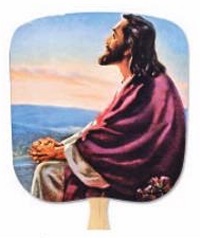 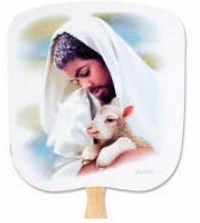 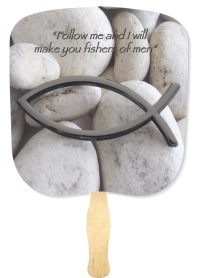 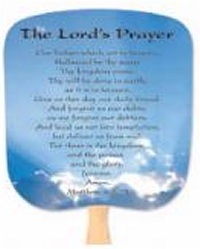 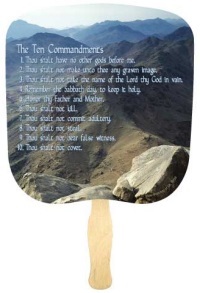 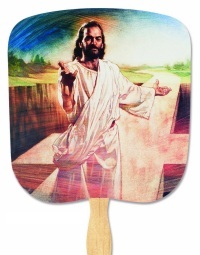 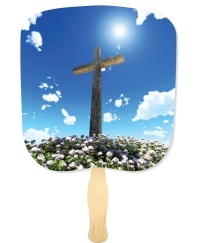 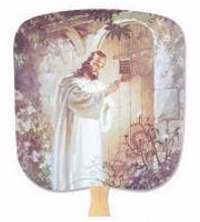 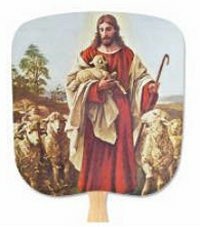 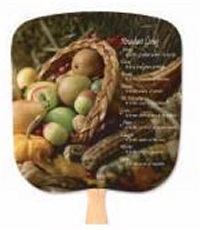 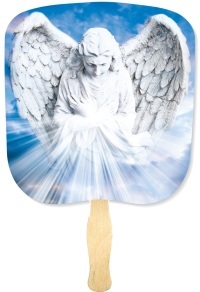 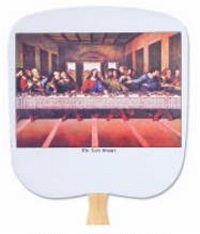 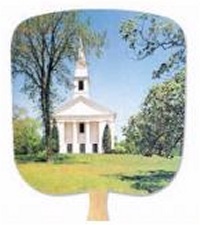 Print your custom information on the back of these Religious Fans. 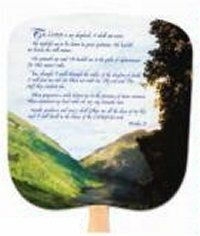 Price includes a full four-color process stock picture on coated front, and your one color imprint on white on the back. 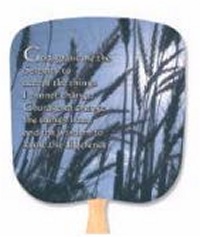 Fan is approximately 8″ (not including handle). 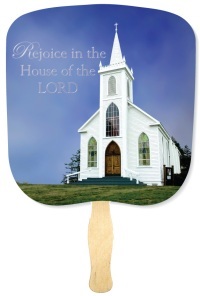 Custom imprint area is 7″ x 6-3/4″. 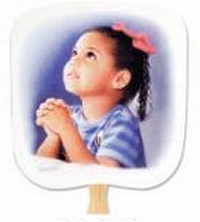 Allow 1-1/4″ x 4″ in center for the handle. 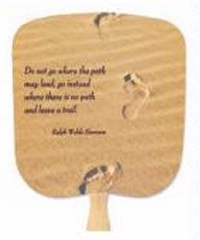 Personalized copy is printed on back only.